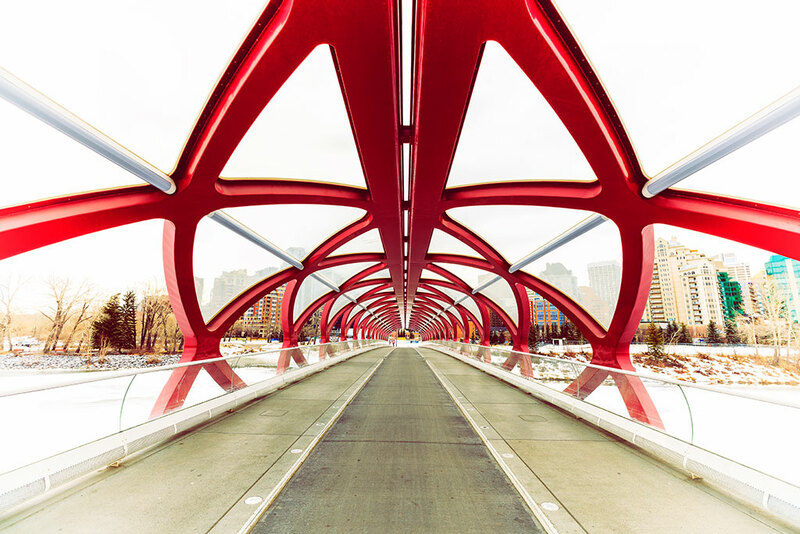 With a futuristic design the Peace Bridge in Calgary is another masterpiece of the architect Santiago Calatrava. I've had the oportunity of personally seeing several of his amazing designs around the world, like the Turning Torso in Malmo, the Gare do Oriente train station in Lisbon, the Women Bridge in Buenos Aires, the Milwaukee Art Museum in Wisconsin and the Infinity Tower in Dubai, and everytime I'm amazed seeing how his surreal creations seems to defy the law of physics. This bridge is a pedestrian bridge that accommodates both pedestrians and cyclists crossing the Bow River, and it's definitely a nice looking attraction for people visiting Calgary.